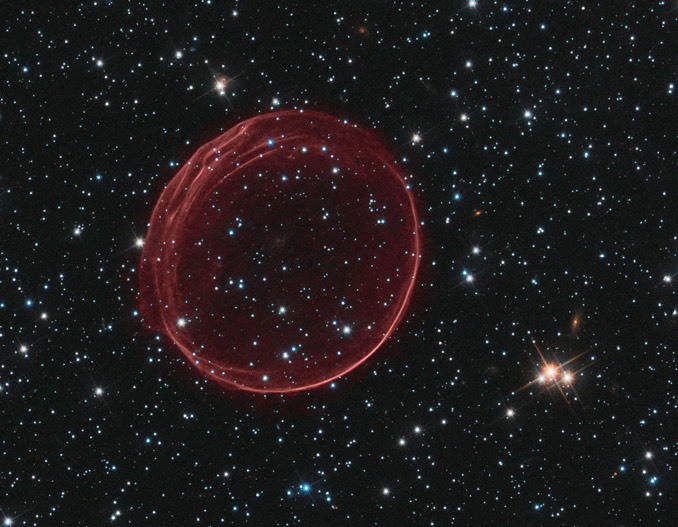 A seemingly delicate bubble of gas photographed by the Hubble Space Telescope in 2006 captures the aftermath of a supernova in the Large Magellanic Cloud some 160,000 light years from Earth’s Milky Way. 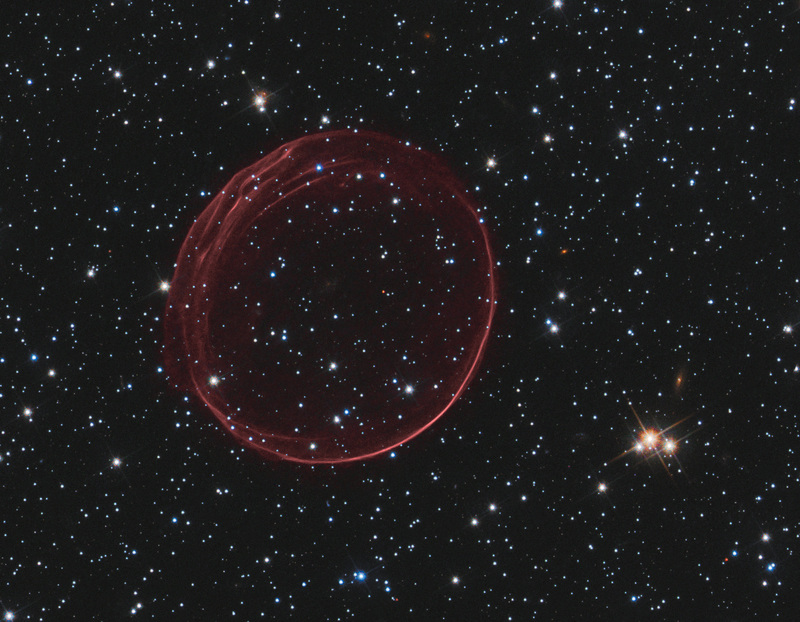 The remnants of the doomed star form a ring-like structure 23 light years across expanding through space at 18 million kilometres per hour (11 million mph). The remnant, known as SNR 0509, features ripples in the bubble’s surface that may be the result of density variations or collisions with debris from the original explosion. 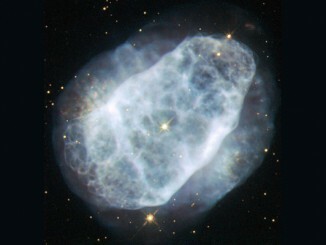 This image was captured by Hubble’s Advanced Camera for Surveys using a filter that isolates the glowing hydrogen in the expanding shell. Visible light images of the surrounding star field were taken by Hubble’s Wide Field Camera. 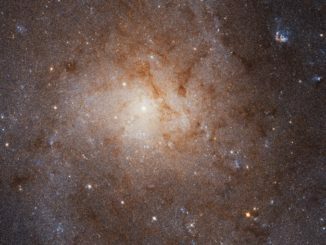 A stunning mosaic made up of 54 Hubble Space Telescope images resolves nearly 25 million stars in the most detailed view yet of M33. 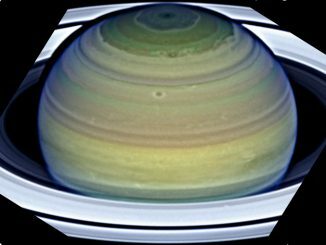 The atmosphere of the planet Saturn has a wider, more intense jet stream than all the planets in the solar system. Winds gusting at speeds of up to 1,025 miles per hour blow from west to east in the equatorial atmosphere, thirteen times the strength of the most destructive hurricane force winds that form on the Earth’s equator.